Legend date back to Ramayana times, Rama and Lakshman in search of Sita arrived here and Lakshman created this fall on shooting an arrow to fill Rama's thirsty. It is believed that taking a holy bath in this fall clear the Sins. Thousands of devotees take bath during Sivaratri day. 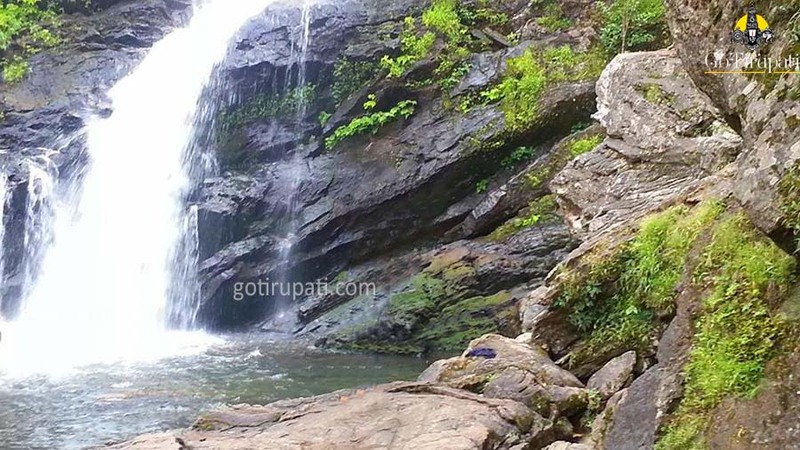 The falls here drop from a height of 60 ft.
Nagarahole Tiger park which opens from 6:30 - 6:30 pm is 45 km away. Madikeri is 80 km from this place.